The fall season offers crisp, refreshing weather, colorful falling leaves, and wonderful food. Think freshly baked pies, warm and wonderful apple crisps and crumbles, cinnamon-spiced cakes and cookies, and anything pumpkin. These desserts include everyday sweet treats, seasonal specialties, and extra special cakes and pies perfect for holiday menus. Whether you have an abundance of pears or apples or you need something for your holiday dinner, you're sure to find the perfect dessert in this list. These amazing cinnamon-scented desserts are perfect for holiday dinners. 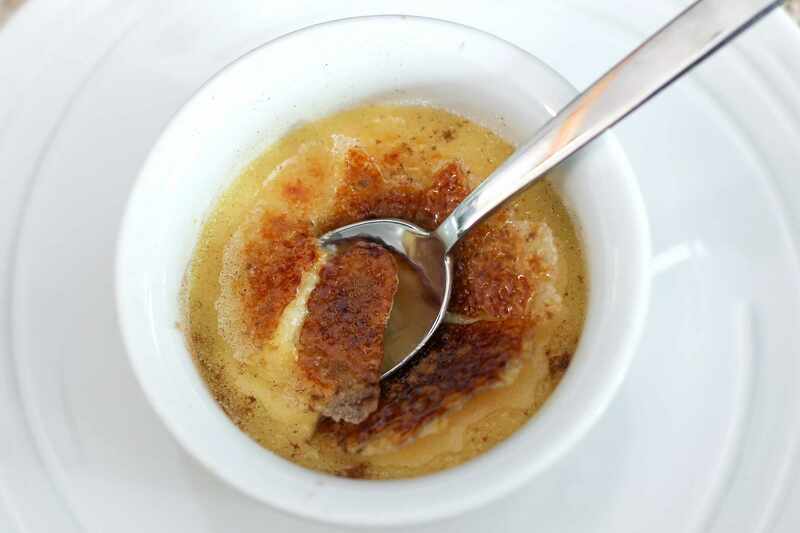 Creme brulees are made in advance, chilled, and then the hard caramelized topping is applied just before serving time. This pumpkin cake roll has long been a favorite, and it is quite easy to prepare and bake. A sweetened cream cheese frosting mixture makes the perfect filling. These little hand pies are filled with homemade apple filling. The recipe includes homemade pie pastry, but you may use refrigerated crusts as well. The browned butter and cream cheese frosting is wonderful, but you could also use the creamy butter frosting recipe or a fluffy caramel cream cheese frosting. If you only make one dessert with your fresh fall apples, make it this fabulous apple crisp. Not only is this dessert delicious, but it's also a very easy preparation. Top this warm sweet potato cobbler with a scoop of ice cream. It's an excellent alternative if you want something other than a sweet potato pie. This pumpkin cheesecake is baked in a graham cracker pie crust, and it takes just minutes to prepare. This extra-special brown sugar cheesecake is sure to get you a standing ovation. The creamy brown sugar filling is baked in a graham cracker pecan crust, and it's topped off with an incredible caramel pecan sauce. This is a very popular pumpkin cake for fall bakers. The cream cheese frosting brings this moist, rich pumpkin cake together in the best way. These soft pumpkin cookies are lightly spiced and topped with a brown butter icing. Bake them for Halloween, Thanksgiving, or any fall day. These cookies freeze well, too. Just freeze in a single layer and then transfer them to a food storage bag, Ice them when you take them out of the freezer. Ripe sliced pears are topped with a classic crisp brown sugar and oat topping in this yummy dessert. Serve the crisp warm with a big scoop of ice cream or a drizzling of cream for a fabulous fall dessert. Here's a great dessert if you're short on time, and nobody will guess it took only 10 minutes to prepare! Serve this delicious concoction with a scoop of whipped cream or thawed whipped topping and a sprinkling of cinnamon sugar. These classic cinnamon-coated cookies are a holiday essential. Keep them on hand for fall and winter holiday guests. This moist banana bread has it all. Subtle peanut butter flavor and mini chocolate chips add special flavor and texture to this banana bread loaf. This chunky applesauce is an excellent way to use that surplus of apples this fall. The apples are sweetened, spiced with cinnamon, and slow cooked to perfection. This delicious 5-star apple cranberry cake is great with warm caramel sauce. Fresh cranberries and fresh sliced apples make this a fantastic fall dessert. The topping is an easy cake-like batter. Croissant crumbs make this sweet potato bread pudding extra buttery, and dates and pecans provide texture. Serve this delicious bread pudding with Caramel Sauce or Brown Sugar Sauce. Frost these wonderful autumn cupcakes with a basic cream cheese frosting or this easy and delicious caramel cream cheese frosting. This pie gives us the best of both worlds. Pumpkin pie and pecan pie get together in this classic dessert, and it's one of my favorites for holiday dinners. It's a nice change from the classic pumpkin pie. This brittle candy is filled with raw pumpkin seeds—pepitas. This is a great treat to make for fall parties and guests. This apple pie is an easy one-crust pie with a brown sugar crumb topping. If pie crust isn't your favorite thing to make, this is an excellent alternative to the classic apple pie. These easy apple tarts couldn't be easier! They're made with sheets of puff pastry and thinly sliced apples. Not a baker? No problem! This easy pie is made with pie filling and cranberry sauce. Use a refrigerated pie crust or the included easy food processor pastry. Sweet potato pie is a Southern classic. Bake this pie for a fall potluck or add it to your holiday dessert menu.